At JP, we seperate our shop from the others with diverse capability. We have invested in quality machine tools and support equipment that we own outright. 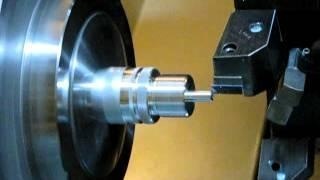 Being an established machine shop, we do not have to spend thousands of dollars every month on machine payments. We pass these low overhead cost savings on to our customers. CLICK ON THE PICTURE TO WATCH ONE OF OUR CNC MACHINES! Below Is Our Current Facility List. SUB SPINDLE, LIVE TOOL - .000010 RES. (1) BROWN & SHARPE MICRO HITE .000020 RES. MICROMETERS - GAGE PINS - THREAD GAGES ETC.